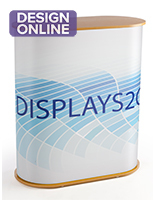 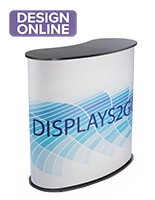 This trade show table is a great portable display system that allows for presentations, item demonstrations, or the placement of company literature. 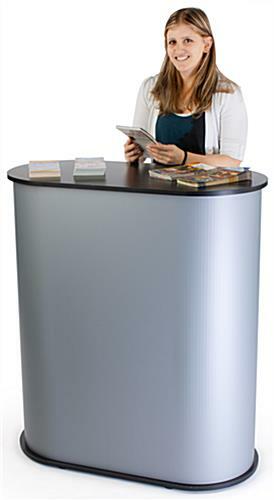 The pop up stand is easy to assemble with hook and loop attachments for holding the satin gray plastic overlay in place. 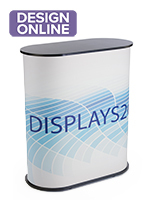 The trade show table has an interior shelf that is hidden from view and can hold extra merchandise, literature or special prizes. 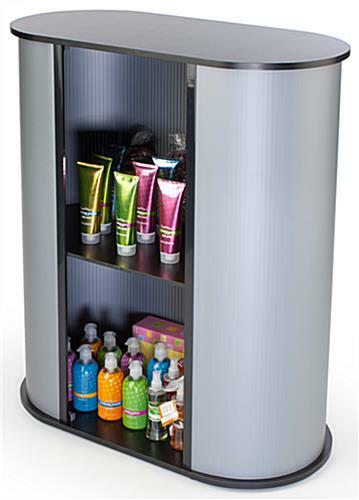 The display system measures 41” high to be at a typical counter height for comfort. 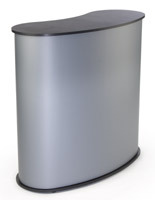 The table is completely portable and easily fits into 2 provided carrying bags with handle. 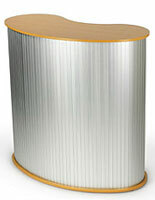 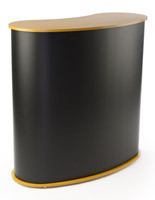 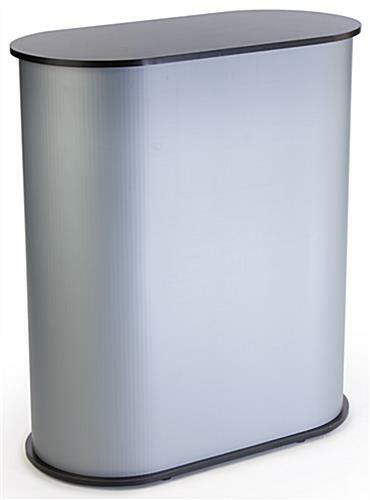 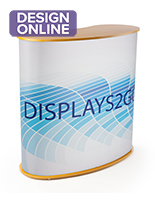 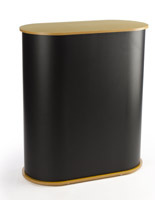 The pop up stand is ideal for conventions, exhibitions, and job fair because of its ease of use and portability.